Located on Usery Mountain in Mesa about 20 miles east of Phoenix, a giant “PHOENIX” marker is made of rocks that have been painted white. It took a Boy Scout troop over 5 years to assemble them in the early 1950’s. Most of the information that I found stated that the marker served as a guide for aircraft at the time, similar to the concrete arrows found across America. Unfortunately, access to the PHOENIX sign is a little tough right now. 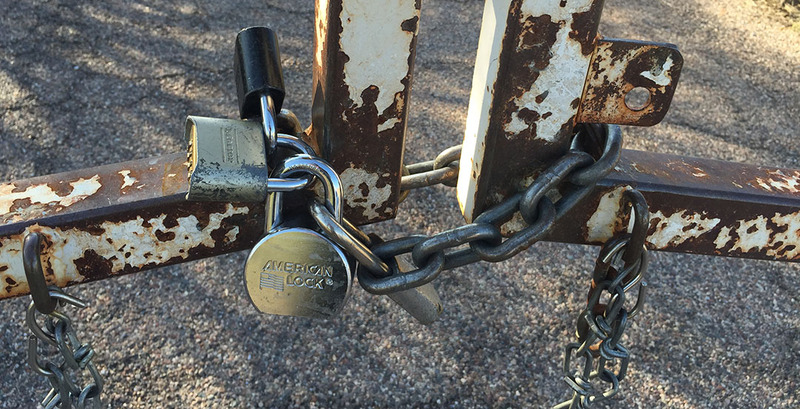 I made it almost all of the way there and then ran up against a metal gate with not one, but 3 padlocks attached to it. Those, along with the plentiful “NO TRESPASSING” signs, kept me from trying to get any closer. I did the best I could to capture a photo with my car, of course. 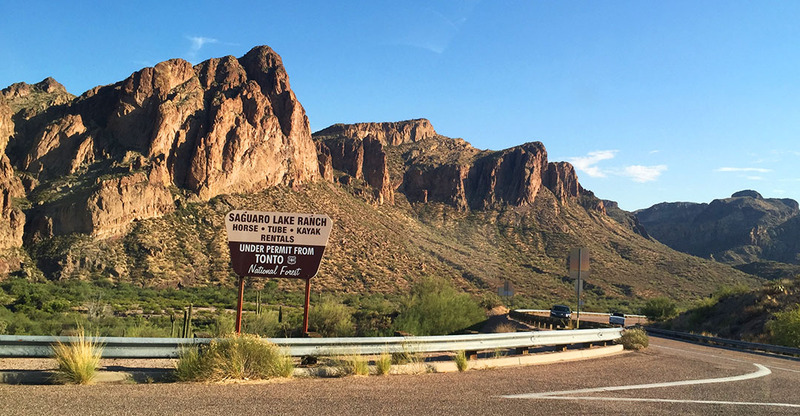 From there, I looped around toward Saguaro Lake on a beautiful Sunday afternoon. I promise, I was having a good time! These cliffs at sunset are brilliant. I need to get back out there at the right time of day. 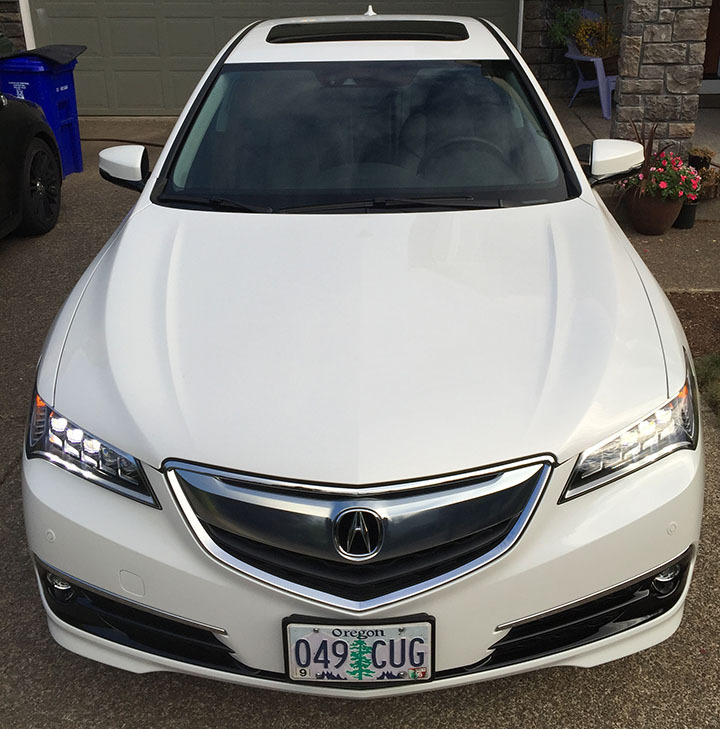 And Ira in Oregon traded his TSX 6-speed in on a new 3.5 liter TLX SH-AWD. A stunning purchase if I do say so. Well done, guys! Let’s have some NSX Talk for a minute. 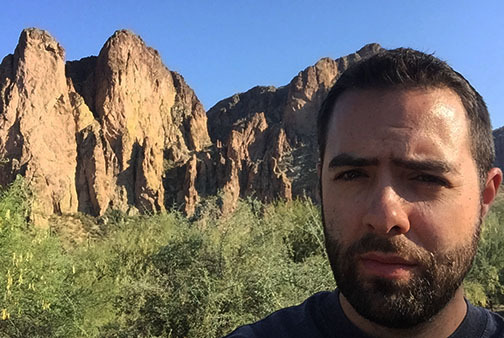 This guy Sheldon has a mileage achievement to share that’s pretty dang impressive. 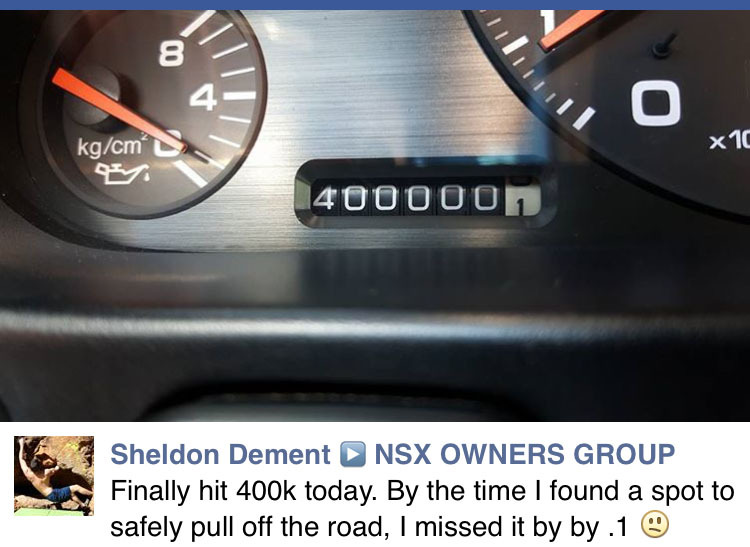 His NSX has logged 400,000 miles! My poor car saw rain for the first time in my 3.5 years of ownership. Oh well! As my friend Mike said, “Don’t worry about it. It’s not like it’s going to melt or anything!” Very true, Mike. 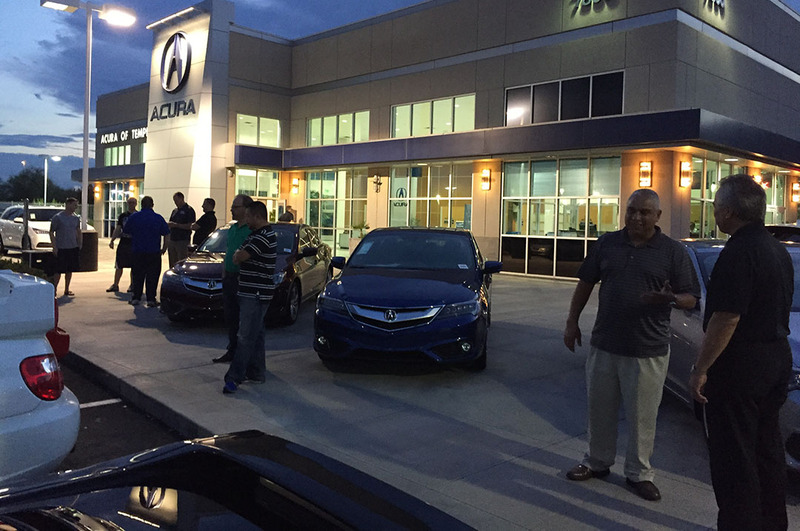 The arrival of the 2016 NSX models was delayed, and the ETA was pushed back to 7 p.m. An anxious crowd of about 20 people started assembling at the dealership around that time. 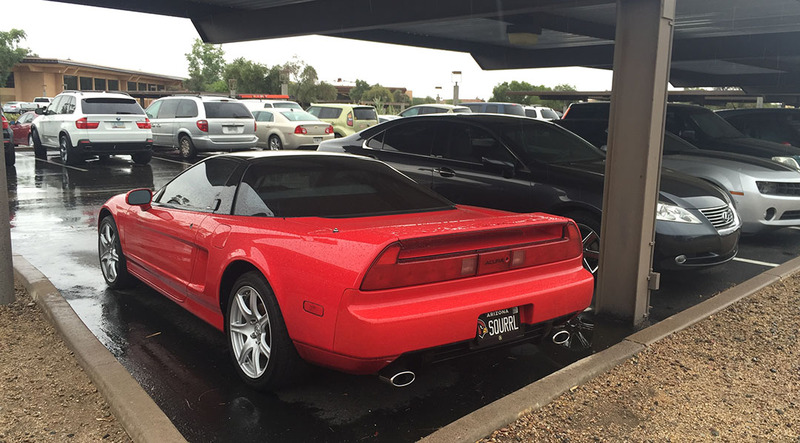 Current NSX owners comprised the majority of the group, though most didn’t have their NSXs with them. 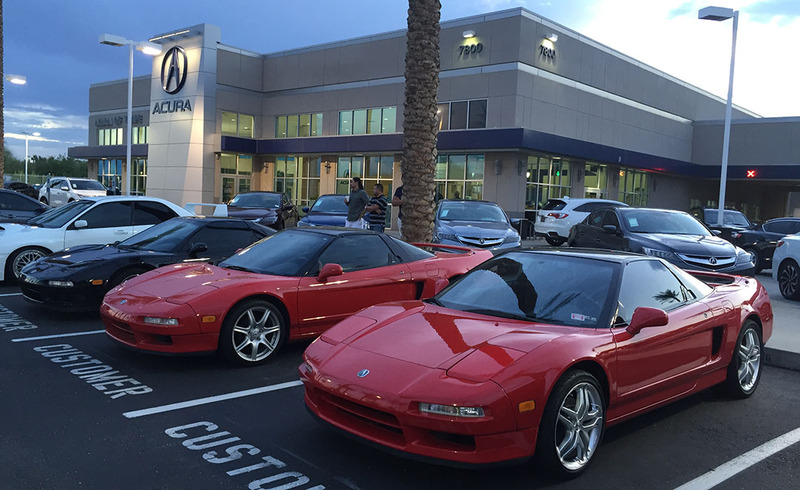 One attendee was a guy named Stewart from Fountain Hills who has never owned an NSX but who was specifically invited by dealership management who is interested in getting one. He’d better get in line! I don’t know how many cars will be allocated to each dealership, but I heard that there will be only 8 NSXs produced per day at the Ohio assembly plant. By 8:30 p.m., I’d waited 90 minutes and the NSXs hadn’t arrived. I had to take off because I was already late for a dinner engagement. 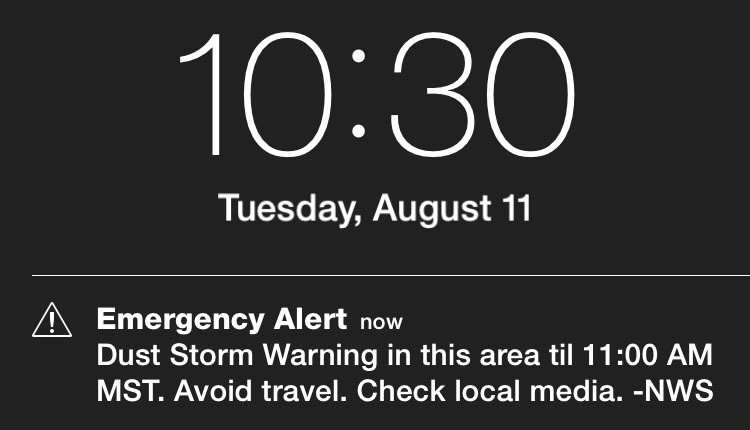 I received a text message just minutes later from my buddy Jhae who was still waiting – I’d missed the arrival by just a teeny bit of time. No worries, I stopped by this morning with my friend Kelvin and we had the cars all to ourselves inside the service bay. The red one looked clean, but the black one had clearly spent a lot of time on the road. It was covered in dust and the front end was buggy. Still, I’d take one! Would you choose the red or the black? Hope everyone is having a good week. Before you go, check out these awesome roads in a short “Dream Roads” video put together by Infiniti! I’m determined to visit some of these. 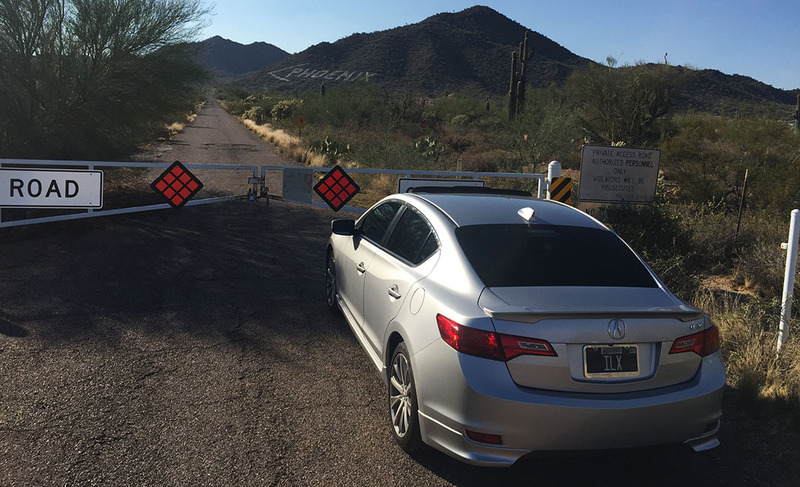 This entry was posted on August 12, 2015 at 5:34 pm and is filed under Arizona, ILX, NSX, Road Trip. You can follow any responses to this entry through the RSS 2.0 feed. You can leave a response, or trackback from your own site. I’d like to see the new NSX in the Blue Pearl. Oh yeah. I bet it would look stunning in “Long Beach Blue Pearl” which debuted on the 02-05 NSX. I wonder if they’ll offer something like that. I’d take either color!! Quite anxious to hear what you have to say after spending some time behind the wheel of one. We shall see! 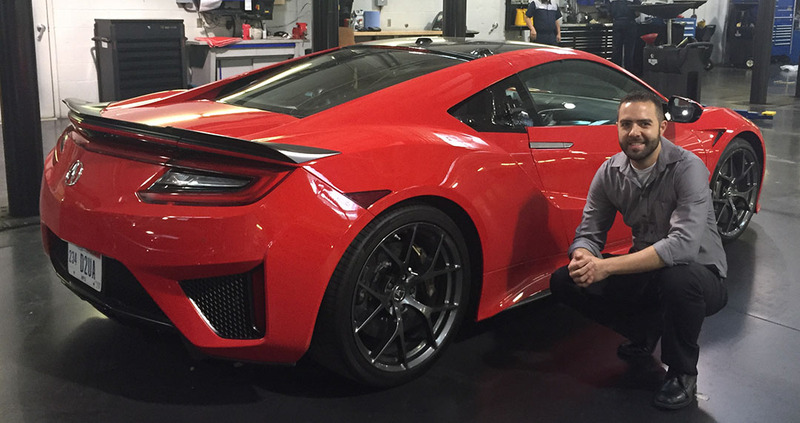 I’m not scheduled for any seat-time in a new NSX just yet but I’m determined to make it happen sooner than later! If I get enough advance notice you should fly down and cruise it around with me. Any excuse to get down will work for me! Keep me posted. 67 miles? 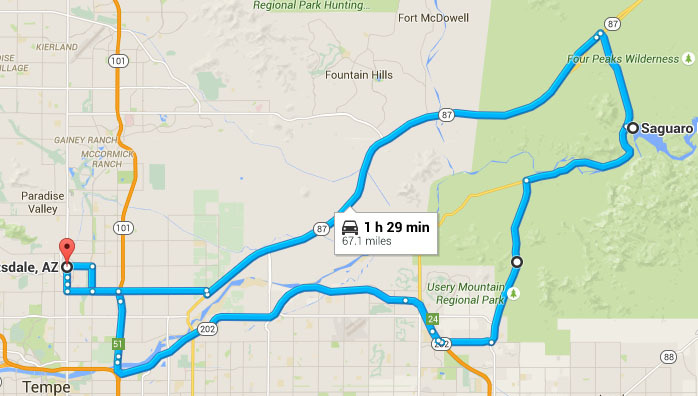 That must be one of the lowest trip distances you’ve ever reported! The pics show you don’t have to go far to see some interesting things though. I think the new NSX looks better in red, but the best of all has to be that red they used for its intro at the Detroit Auto Show. I think they chose the same paint for the TLX launch… and then didn’t offer that color as an option. Haha. Are any of those dream roads in the USA? They looked awesome. My favorite was the one that goes right next to that awesome crashing waterfall at 0.16 and it says Trolstigen. WOW! That’s awesome getting up close to the NSX. I haven’t seen one in person yet, though I am planning on making it to the NAIAS in January, hopefully I’ll get to see one before then. As for the Bellanova White Pearl TLXs, they look great! If I were to get a new TLX anytime soon it would be in that color with Espresso leather! Yes I agree, the Espresso leather is really classy! And that’s awesome you’ll be at NAIAS. I’m planning on going again for sure so we’ll have to meet up. Yeah for sure! I believe my IMPA membership is valid press credentials too. They haven’t posted the info for 2016 yet. It would be really cool to go during the press days. I’m really loving the look of the new TLX! If only they offered a 6 speed manual. Ugh, those are EXACTLY my thoughts. It would be such an amazing car to own in a stick. I’m glad I came across your blog. 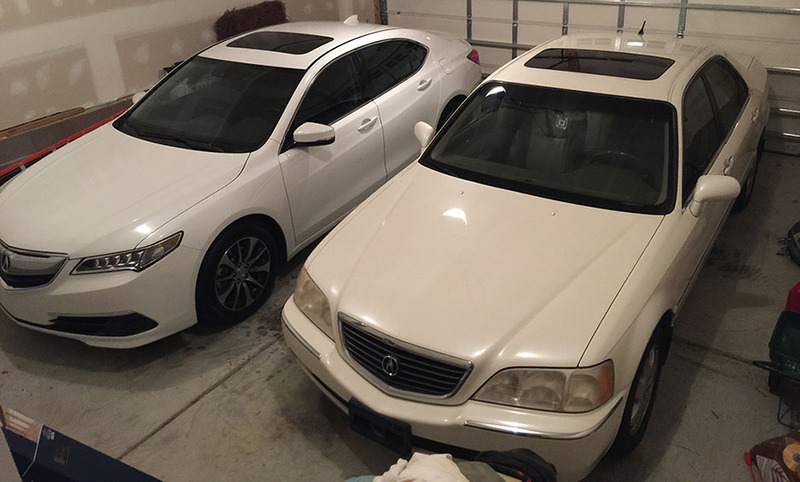 I’ve always been a tremendous fan of Acura especially the older years. Great read! Hey, thanks! Yeah – a lot of my friends say I’m stuck in the 90’s! I guess they’re right. It was a great era for Japanese cars. Thanks for reading the blog! I couldn’t agree more! My favorite thing about 90s Japanese cars are the interiors. Everything is clear, simple and beautifully positioned. The Legend was one the first cars I fell in love with. Check out my blog when you get a chance.